I absolutely love the Palette Builder on PlayCrafts! I saw this on a blog recently and told myself that I should check it out but then forgot. Today Robert Kaufman had it on their facebook page and I am in love! PlayCrafts has a Palette Builder where you can upload an image and they will give you the matching Kona Colors! Including the new ones. How cool is that!!! 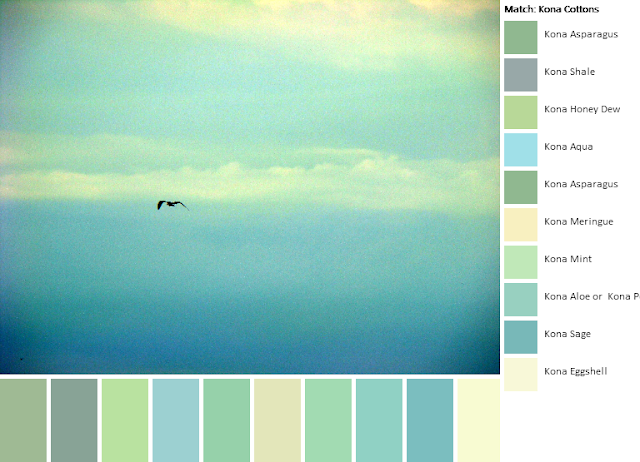 I'm planning to make a quilt with this color scheme. I don't have a pattern yet but I've wanted to use these colors for a long time. I took this picture on our trip to the Toronto Islands. Something about it makes me feel at peace. Brings a sense of calm. I will let this brew and see what comes up.